QCE Aluminum Fence stands for QUALITY, CUSTOMER CARE and EXPERIENCE. Our values are so embedded in our business practices that we put them in our name! Here are a handful of other reasons our customers stick with us: -All products are backed by our unconditional lifetime warranty guarantee against peeling, cracking, chipping, yellowing and corroding. -We have proudly served the industry for over 20 years -Our highly qualified sales representatives are always available for your questions -Each representative has, at minimum, 5 years installation experience -All our USA-made aluminum fencing products arrive to your job site pre-assembled saving labor on your installation -All our USA-made aluminum fence gates are welded for extra strength & durability -Our commitment to quality customer service includes a free fencing estimate -Materials can be shipped common carrier anywhere in the lower 48 states. We now service Canada as well. 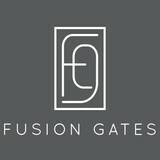 Fusion Gates is a company that designs and manufactures premium baby gates and pet gates engineered for safety but designed as a work of art. 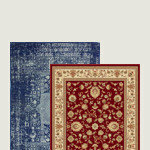 Perfect for the house-proud parent and pet parent! Built to strict ASTM standards, this innovative, dual-mounted pressure gate features a patented interchangeable art screen system and an ongoing collection of relevant designs to make your home be safe and while looking sensational. Visit fusiongates.com to see our full line of designer screens and/or connect with one of our dedicated professionals to help with custom solutions just right for your space and circumstance. Other key features include a one-of-a-kind finial latch, the lowest threshold on the market for pressure mounted gates, auto-close doors that swing in both directions and optional hardware mounting caps for top of the stair installment. Extensions are available allowing your gate to expandable up to 61". We have a dedicated crew of fence builders with over 30 years combined installation experience who focus on quality construction at an affordable price. We offer general fence construction and repair services to properties in St. Louis and surrounding areas. Fencing & Deck Specialists for Over 30 Years! 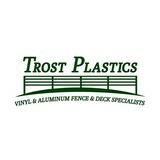 Since 1988, Trost Plastics has been a family-owned business, dedicated to serving the St. Louis Metro area. Our mission is to custom build and install superior-quality fencing, decking, and other outdoor enhancements that will protect and beautify your home or business. We're proud of the results and positive feedback we've received over the past 27 years, and invite you to give us a call at: 800.355.4060 for a free estimate on your project. Our vinyl and aluminum fences are visually appealing and an affordable enhancement for both residential and business/commercial properties. 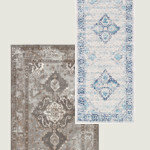 We even customize our products with decorative accessories and designer colors to suit your individual needs. And, with over 25 years of industry experience, our skilled team members will insure that you are 100% satisfied with the results. We back this up with a lifetime warranty on all of our products, and an 'Open End Workmanship Warranty' on all installs. When you are ready to make your outdoor enhancement dreams come true, give us a call: 800.355.4060. Custom wrought iron fabricator of ornamental railings, fencing, drive gates, garden gates, interior stair rail systems and iron balconies. We install as well and provide free estimates. With over 30 years of experience you can rest assured that Houlihan Fence will build your new fence the right way, on time and on budget. We have the knowledge and experience to provide St. Louis and Metro East, Illinois fence customers both residential fence and commercial fence including union fence jobs under the Davis-Bacon act throughout the St. Louis, Missouri area. For an immediate free no-obligation consultation call or email Houlihan Fence today. Tri County Fence and Deck-A Frank LETA Family Company-is the #1 rated fence and deck builder in the tri state area-St. Charles, Lincoln and warren counties. We have consistently been rated on the top social media sites for the quality of our projects and the level of service we provide. We have been in business for over a decade and our parent company for over 65 years ! Our areas of focus are decks-from treated, cedar, capped composite, PVC and more. With simple wood, to vinyl and aluminum ballusters, to composite rail systems. Our areas of focus on fencing is treated, Eastern Red Cedar (Estate Series), vinyl-which we custom fabricate in our own shop, to aluminum and steel fencing. We have a 5,000 square foot showroom and fabrication center in Wentzville that showcases our many project offerings. For more information feel free top call us at 636.442.1683 or on the web at www.fencedeck.com. MO. Steel & Wire Inc.
We're a family owned and operated business established 1957, (incorporated 1976) we're dedicated now as then to provide service and quality merchandise at competitive prices. We're among the last of the independent wholesalers (not having been swallowed up by the national conglomerates) serving contractors and fence dealers alike. 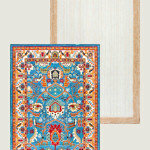 (Wholesale to qualified buyers only) We will, as a courtesy work up a material list from your sketch. You should double check it for accuracy before ordering. We cannot be responsible for errors or omissions. Empire Fence & Custom Iron Works is a custom ornamental fabrication company located in St. Louis, MO. We offer residential and commercial services all over St. Louis City and County, St. Charles, Wentzville, O’Fallon, as well as Illinois. We are a family owned and operated business. 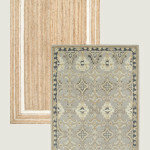 We understand that quality and workmanship — as well as affordability — are important to our customers. Empire Fence & Custom Iron Works has been in business since 1993. Owner Steve Gieseking has more than 35 years of experience in ornamental iron fabrication. We fabricate all iron fence, gates, rails, spiral stairs and other ornate pieces in our 23,000-square-foot office and fabrication shop. 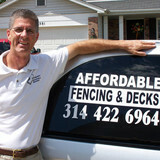 Fence & Deck Depot Inc. is a locally owned and family operated fencing company serving the Greater St. Louis area. We offer a variety of fence and deck services suitable for any Missouri home. With three locations, we are able to provide a wide range of exceptional customer service and assistance whenever and wherever need be. Our residential and commercial fencing services are focused around your satisfaction with an array of design ideas, quality materials, and the best in fencing and deck products on the market. Your Saint Peters, MO fence installation and repair professional will work with you to create your ideal fence. Fence installation or replacement. If you are in the market for a brand new fence, a contractor’s services will include walking you through various fence styles and materials, determining a suitable height, ensuring that all fence designs and plans are compliant with Missouri building codes, and that the fencing meets both your stylistic and security needs as the homeowner. Fences and gates must complement the grade of your property as well as the type of soil you have, so the contractor should always plan around these considerations. Additionally, if you don’t know exactly where your property lines are, he or she can commission a survey for you. Find a fence contractor in Saint Peters, MO on Houzz. Narrow your search in the Professionals section of the website to Saint Peters, MO fence contractors. You can also look through Saint Peters, MO photos to find examples of fencing and gates that you like, then contact the professional who worked on them.